52 minutes of music. Remastered edition supervised by Claudio Fuiano. 8-page CD booklet with French and English liner notes by Laurent Perret. 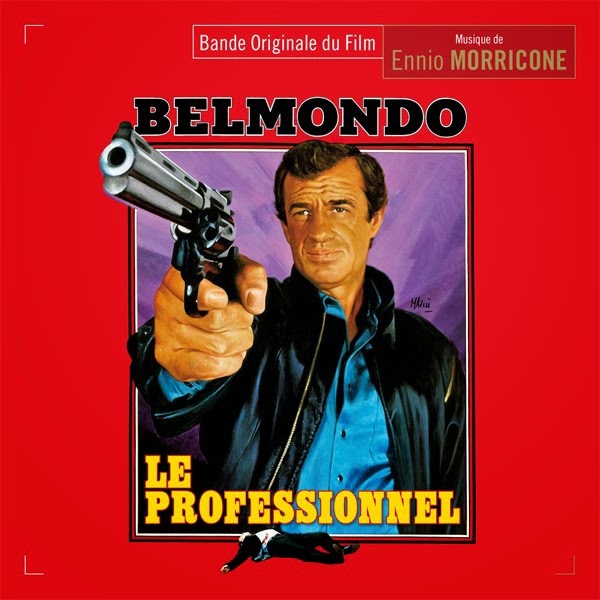 Music Box Records is pleased to reissue the classic Ennio Morricone soundtrack for Le Professionnel, one of the Maestro’s best known scores and themes that attained fame all over the world. Supervised and mastered by Claudio Fuiano, the soundtrack has the same program as the limited edition GDM CD released in 2002 that had been going for unreasonable prices on the secondary market. For a long time, Le Professionnel has been notable for being one of the best-known Morricone scores even though very little of the composer’s music actually written for the film survived in the final cut. Instead of using the cues Morricone actually penned, director Georges Lautner and more importantly star Jean-Paul Belmondo decided to use a recording of "Chi Mai" a very famous Morricone composition that has been used and recorded in a number of different projects. The first appearance of the famous "Chi Mai" melody was in Maddalena (1971) and was later recorded as a pop song (in several languages) and a so-called disco instrumental was done in 1978. It was this recording that was used in Le Professionnel and is known as the theme from the film (even though it wasn’t specifically written for it).